We’ve decided to shelve an idea for a couple of weeks that will all become clear soon, so for NWTW Week 20 it’s time for the first sweet wine of the year. It’s going to be sweet wine that’s produced from a specific method rather than from a specific place. There are a few ways to make sweet wine, all involve techniques to make sure there is plenty of sugar in the final wine, giving it its sweetness. The technique we’re going to be looing at this week is using Noble Rot. You’ll probably notice that these are all in half bottle sizes. That’s merely to reflect that it’s usually something you just have a swifty of with your pudding. If you really like it then you can buy larger bottles (or just buy two!). I was really looking forward to this week when noble rot was announced as the theme; another fine excuse to crack open something from the stash which is nearing its peak. I kept the Furmint theme going from last week with a bottle of 2006 Hungarian Royal Tokaji Aszú 5 Puttonyos. It was £20 a bottle as a case of 6 when I bought it a few years ago from Laithwaites Fine Wine Service. I’ve got the drinking window noted as up to 2016. The first thing I find really important with sweet wine is the serving temperature, as it’s easy to think it needs to be served quite chilled. Around 14° is perfect as the flavours really warm up and come into their own. This particular Tokaji is rated 5 Puttonyos so is at the high end of the sweetness scale. The beautiful amber colouring is particularly attractive in this wine, and will get deeper and redder with age. The best visual display of this colour change in botrytised wine is the ‘Chateau d’Yquem wall’ at Hedonism wine shop in Mayfair, London. If you ever get a chance you should check it out-they have examples from present day all the way back to 1860’s, all laid out chronologically in a glass case so that you can see exactly how the colour develops with age-amazing sight!! So, back to the plot. This particular sticky beauty has a pronounced nose of marmalade and apricot, with the backing of rich caramel. The palate characters are difficult to delineate as there is so much going on! The syrupy stewed orange flavour hits first, but then the uplifting acidity is so full on it takes over and has you drooling for 30 seconds +. You’re left with a honey comb, caramel coating in your mouth which has so much length I stopped counting! This is the best example for me on the wondrous way that grape juice can be coaxed into tasting like a completely different fruit through both natural and intricate production processes. Tokaji doesn’t have the complexity and finesse of Sauternes, but still manages to possess both depth and intensity. 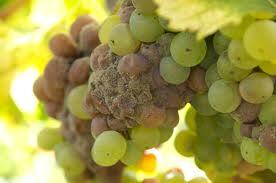 Plus, you would do well to get an example of such a fine ‘noble rot’ wine for twenty quid. As far as I’m concerned, there are only 2 possible food pairings for Tokaji, and the Tesco man was all out of foie gras this week so it was Roquefort cheese all the way. The salty tang matches the honeyed sweetness sublimely. fantastic write up fella, sounds like a fantastic wine! I went for the Tesco Finest Sauternes this week, from the 2009 vintage and made with 85% Semillion, 13% Sauvignon, 2% Muscadelle. The aromas are classic and enticing; baked peach, apricot and a good dose of marmalade, with a musty, dusty note that you often get from a young botrytisised wine… Yum. on the palate the flavours are slightly more muted; theres plenty of apricot and that honey, marmalade note but the sweetness isn’t quite at the levels I want… the acidity is there but the balance is just off-kilter.